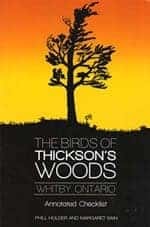 The Holder family, Phill, Sue, Matt and Kelly came to Canada in 1982 and went birding at Thickson’s Woods, our first experience and remains a special place for us. Matt Holder never wanted to be anything but a naturalist. We first took him UK birding in his stroller with dollar store binoculars. 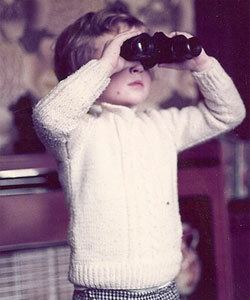 By the time he was eight he was making family birding trips and “twitches”. At 16 he headed off to Algonquin to become a seasonal naturalist and learned to communicate with the public and it was here that he became passionate about passing on his knowledge of nature. During this time Matt wrote a booklet in 1996 introducing Dragonflies and Damselflies to Algonquin Park visitors. This lead to Matt co-authoring in 2008 a Field Guide to The Dragonflies and Damselflies of Algonquin Park and Surrounding Area. After University, Matt moved with his family, wife Andrea and boys Craig and Adam to work in Alberta, but nothing matched the spring excitement that Thickson’s Woods provided. 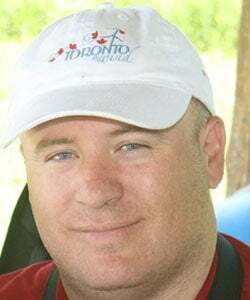 Matt passed away in 2011, suddenly and far to young. In Matt’s memory Sue and I, along with long time friend Margaret Bain, produced The Birds of Thickson’s Woods – Annotated Checklist, which is a photographic checklist of all 313 species recorded in the Thickson’s Woods Nature Reserve. 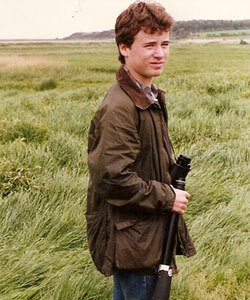 Dedicated to Matt’s memory and celebrating the 30th anniversary of the Reserve, all proceeds from the sale of the book will be used to provide resources to conduct environmental studies or projects within the Thickson’s Woods Nature Reserve area.